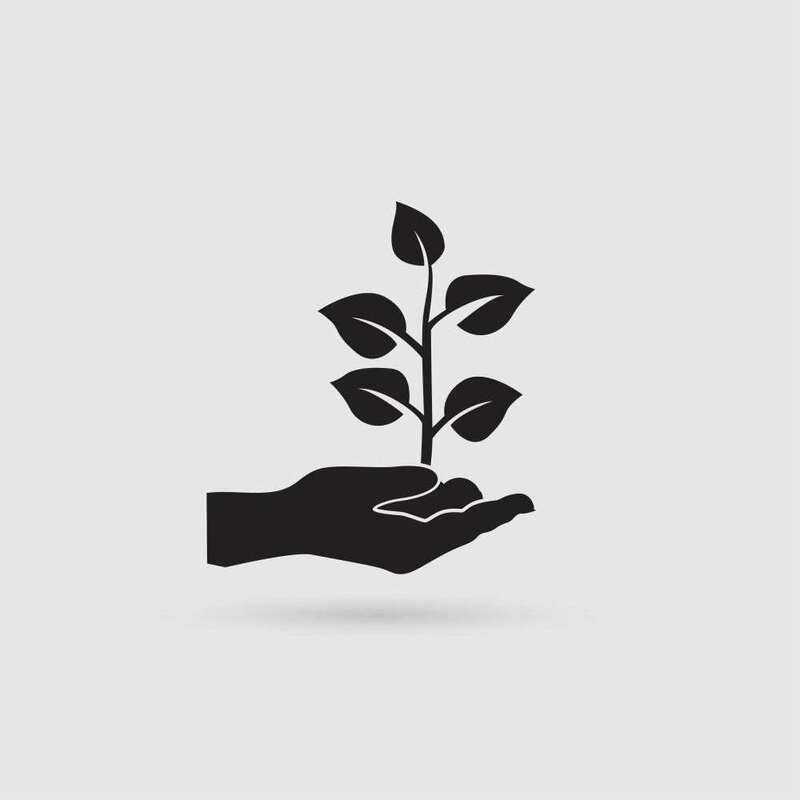 One of the most core elements of great investing is understanding what Return on Invested Capital (ROIC) means, and how it can be used to evaluate a company as a potential investment. This is a guest contribution by Cameron Smith. Guest bio: Cameron Smith is a CPA, CMA (Chartered Professional Accountant, Certified Management Accountant) from Toronto, Canada. Cameron has an Honors Bachelor of Business Administration degree from Western University’s Ivey Business School where he had the opportunity to be taught value investing at the university’s Ben Graham Centre for Value Investing and to meet Warren Buffett in 2012. ROIC is one of the more advanced pieces in investing in my opinion, as it is a little more complicated than your standard Price-to Earnings ratio. However, ROIC’s meaning is in many ways more valuable—as it gets to the bottom of what the capital of ALL investors, both contributors of equity capital and debt capital, can expect to earn from a business. From an internal management perspective, ROIC can be used by management to evaluate if their company’s shares are trading below what their capital is able to earn, and if so, should management repurchase shares with excess cash flow rather than investing in lower yielding growth projects? Side Note: This is why I always take share buybacks as a good sign from a business and its management. It shows that management is on the ball and is doing a good job of maximizing shareholders return through smart allocation of capital. Also, it shows that the business is able to earn an excess return to be shared with equity investors. Breaking down ROIC, there are two separate elements: 1) Return and 2) Invested Capital. It is important to get familiar with these items first before delving into its interpretation. Return: This will be a familiar concept as it is similar to net income or earnings but it has a slight twist. The difference between return and earnings is that earnings are the amount earned and attributable to equity shareholders after paying debt holders in the form of interest expenses, while, the return is the amount that is attributable to ALL capital investors in a business. This means that it is before interest, but still after tax. To get fancy, you can also substitute the historical depreciation/amortization of old assets rolling off the balance sheet, with the actual cash payments made during the year to keep the business current and operating. Side Note: A quick approximation for the dollar figure of return used in ROIC is Income from Operations on the income statement, then take it on an after tax basis. Returns should always be net of tax, as those are unavoidable. Side Note: The liberty can be taken to make adjustments for one-time items such as reorganization expenses, severance from layoffs, lawsuits & fines, impacts from natural disasters, etc. Be sure of what you are adjusting in and out of it and try not to get too aggressive. Invested Capital: Invested Capital attempts to measure how much capital is required to operate the business. It is different from total assets on the balance sheet because it does not include excess items that are not needed to generate the returns. This would include items such as excess cash, excess real estate, and growth projects not currently in operation. If calculating invested capital from the liabilities & shareholders’ equity side of the balance sheet, invested capital is different from the total because it only includes Interest bearing liabilities as well as shareholder’s equity. Items such as accounts payable wouldn’t be included because they are not interest bearing and, in essence, are funds that have been temporarily contributed by the business’s suppliers. To sum up, invested capital includes only the capital of investors, whether equity or debt investors, that can be expected to earn a return. If one chooses to calculate invested capital through either the Asset side or Liability & Shareholders’ Equity side of the balance sheet, the number should be pretty similar. Side Note: For some companies the adjustments made will be small but for others, they a bigger part of the story. Think Apple and its tens of billions of dollars of cash on the balance sheet. These adjusting items can be significant. Side Note: An important thing to note is that whatever you adjust on one side of the equation, you have to take the same item into account on the other side. For example and thinking back to the Apple comparison, if one removes the excess cash from the balance sheet, they would also have to remove the corresponding interest income on short-term securities. Once one is familiar with the figures that are going into the ROIC calculation, we can put it all together and start to draw conclusions. ROIC, in its most basic form, it is the return in a yield form, showing how much a company earns on all the capital invested in the business. For example, imagine a fictional money tree. 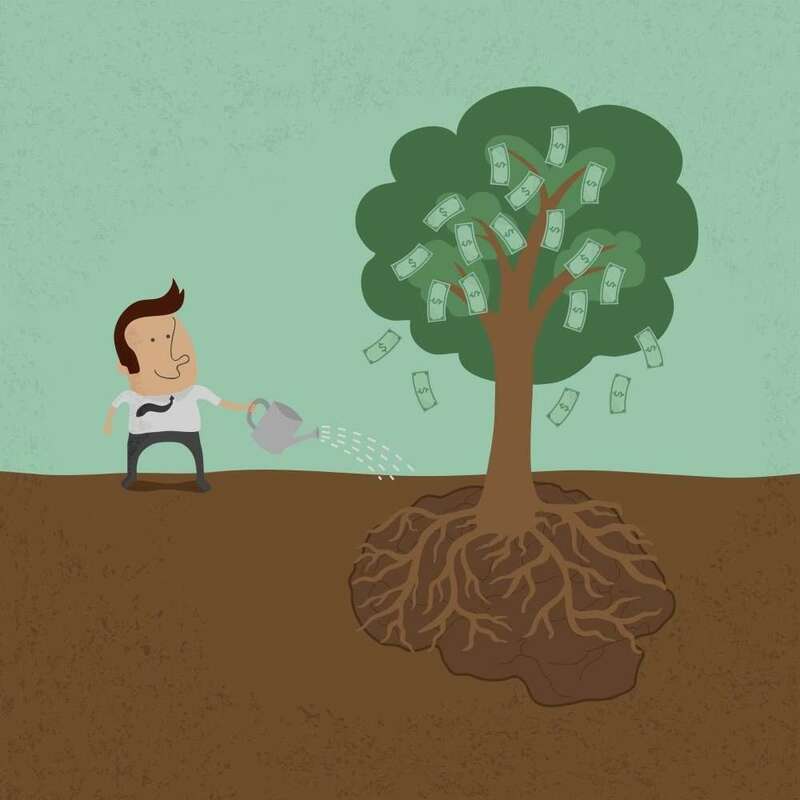 If that tree produced roughly $10 of money each year and your friend was willing to give you $100 to buy it, then that person would be getting a 10% return on their invested capital. In real life, businesses get a lot more complicated than that unfortunately because real life allows for people to trade risk and reward. Let’s say that this friend now decides they want to take $50 out of their sweet money tree venture and invest it elsewhere or buy a house. They manage to find a friend willing to invest $50 in the money tree venture but this new person does not want to take the risk of watering and maintaining the plant. The new person offers the $50 investment but would like a guaranteed return of $3 each year. Writing up a loan contract, the friends make a deal. As can be seen from the above diagram, this new debt arrangement drastically changes the return potential from the equity shareholder’s perspective, who now has a return of 14% on their invested capital compared to the unlevered 10% return. Their new leveraged equity capital investment now earns a return of 14%. This is made possible by the 6% debt that has been issued which gets $3 of the return. What is an acceptable ROIC? The response for an acceptable ROIC is unique to each industry and the nature of the assets that the capital is invested in. Some assets, such as real estate or utilities, have stable cash flows and are deemed to be less risky. In turn, these types of assets are able to borrow debt at cheaper interest rates, and more leverage can be used to increase equity capital returns to an appropriate level. The kind of company I love to find has a ROIC around 9% or higher which can be leveraged up to earn 15% Return on Equity. That being said though, a good company does not necessarily translate into a good investment at any price. It all depends on what price an investor is paying for that equity capital. Side Note: There is a bottom to ROIC based on economic logic. If ROIC is not higher than the risk-free interest rate as measured by long-term government debt of, say 4% for instance, no rational investor would invest any capital into the business as the risk-free government return is obviously more appealing than even the secured debt of the business could be, let alone the riskier equity. In real life, equity and debt capital are traded on a daily basis in markets. Someone very much might be willing to pay the first friend in our earlier example, the equity shareholder, $75 for their share in the money tree business. What kind of return would one be getting if they spent $75 to buy the equity of this business? Well, some simple arithmetic can get us this adjusted return. In our example, the equity in the business earned $7 on an average year and paying $75 for that capital would yield an adjusted return of 9.3% ($7/$75) for this new friend’s capital. Businesses rarely trade at the book value of the equity capital and high ROIC businesses trading at book value are a rare opportunity indeed. In the example, the money tree business had a great average ROIC of 10% but not every business is this lucky. In real life, businesses which have a low ROIC need to use excessive leverage in order to give equity shareholders an acceptable return. Not only are low ROIC businesses less profitable, but they can also be more risky. Being able to understand Return on Invested Capital can be a great tool in evaluating a business as a potential investment. High ROIC can lead to even higher returns for equity holders through the use of leverage. However, leverage can also be used to make mask low or declining ROIC. It is always good to not simply take net income at face value and examine how operating income is being split among the contributors of capital. Investors always need to be cognisant in how much they are paying for the equity capital of the business and how much that business can return.